A special "catch up" opportunity to take the first day of this highly sought after training. Twenty students began in April and this is your chance to have their experience before the second day of training in July. Watch a brief video presentation here. Read more here. Express interest here. The 3rd edition in 2018 of the entry level experience into native Irish shamanic practice. It is highly valued as a stand alone day for personal healing and self care, while simultaneously spreading our connection out to Nature, practically and mystically. This gathering opens a door not just into the ancient Celtic heritage of the natural healer, but also to a soothing space for your Soul. Watch a brief video presentation here. Read more here. Express interest here. A day dedicated to warm, vibrant community and ongoing shamanic practice for those who have at minimum, experienced the One Day Introduction to Shamanism (or similar elsewhere). This gathering calls many to gracefully deepen their empowerment and wisdom through the journeys, inner healing, ceremonies and rituals. It also sees the return of experienced practitioners who know the health of keeping healing momentum in their connection to self and Nature. Watch a brief video presentation here. Read more here. Express interest here. Sunday, July 1st: "Power Animal Readings"
At the recent main exhibition of "As Above - So Below" in the Irish Museum of Modern Art, a collection of stunning, provocative artworks that crystalised from artists experiencing the power of Spirit in myriad forms, John was invited to offer live Power Animal Readings to a select group of visitors. They experienced revelation, insight and guidance from his creative technique of bringing strengths and resources from Power Animals to their personal lives. This is a special Sunday starting the month of July for you to choose a personal reading. John will see a small number of people individually over a managed schedule before and after midday. Read more here. Express interest here. The 4th edition in 2018 of the entry level experience into native Irish shamanic practice. It is highly valued as a stand alone day for personal healing and self care, while simultaneously spreading our connection out to Nature, practically and mystically. This gathering opens a door not just into the ancient Celtic heritage of the natural healer, but also to a soothing space for your Soul. Watch a brief video presentation here. Read more here. Express interest here. Sunday, 15th: "Archetypes: Power In A Sacred Universe" Training Day #2 In The Series. An opportunity to take the second day of this highly sought after training. Over thirty students will have taken the first day and this is the next step in exercises, rituals and learning in how to bring this consciousness to others. A class only open to those who have taken the first day of training in either April or June. Watch a brief video presentation here. Read more here. Express interest here. 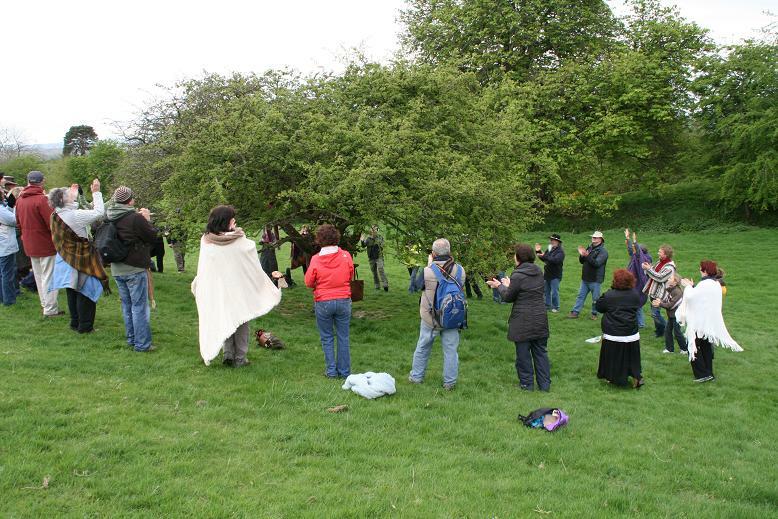 Sunday, 22nd: "Fourknocks (Fuaircnoic) Cairn - Sacred Site Immersion"
A very special Summer experience. Fourknocks in County Meath is an outstanding ancient tomb and temple to the magic of Earth - Sun energies. It is a portal to the Ancestors. John will lead a small group from Dublin to visit the site for personal healing and connection to the Ancient Ones. Afterwards we will sit back and relax at the nearby Seamas Ennis Arts Centre with refreshments. A dear friend of Slí An Chroí is Anthony Murphy, please visit his website page dedicated to Fourknocks here. Express interest in the trip here. Investment for this experience is by donation (recipient, Barnardos) and transport is by car pool. Saturday, 28th: "Full Moon Summer Dreaming"
Have you ever experienced a Group Dream Incubus? What happens when men, women and children leap into a wild, waking dream state under the energies of the full moon? What vision, what teachings, what healings, what vitality and creativity do they return with? Let the unique blend of drumming, movement, breathwork, stress release and art making bring you a memorable Summer shamanic experience. This is a free event (optional donation to Barnardos) taking place from 10.30am to 1pm. As a starter to your weekend, there is nothing like it, opening your heart to the Sun when the Moon is full. Express your interest here. Open to all. In the Summer of 2017, all four of the Mála Masterclasses were provided and a notable group of practitioners took one or more of the progressive workshops that bring learning and tools that are impossible to teach on The Medicine Spiral and Healers Spiral. There were some students who took all four classes with extraordinary commitment and enthusiasm. This is the first of the Mála Masterclass series and it will allow you consider the advanced classes that will be scheduled later in 2018. If you have completed The Medicine Spiral and not yet experienced the magical reward of how the mála grows with this extra learning, don't miss your chance this year. Watch a brief video presentation here. Read more here. Express interest here. The 5th edition in 2018 of the entry level experience into native Irish shamanic practice. It is highly valued as a stand alone day for personal healing and self care, while simultaneously spreading our connection out to Nature, practically and mystically. This gathering opens a door not just into the ancient Celtic heritage of the natural healer, but also to a soothing space for your Soul. Watch a brief video presentation here. Read more here. Express interest here.